with a dynamic time lapse from TimeCam.TV. from your existing webcam in minutes. Time lapse videos are beautiful, they reveal our world in a new way. With an online time lapse webcam showcasing your location, your visitors can see what is happening, at the beach, the pool, the slopes - or simply the ever changing weather. With our incredible year time lapse, visitors can see all the seasons year round. Generate buzz and social media links. An engaging online time-lapse brings repeat vistors who send links to their friends. Encourage repeat and regular visits to your website. Your time-lapse is dynamic so potential customers will bookmark your page and come back to see what has changed. Impress your guests. Guests will enjoy being able to see a time lapse of your location while they are there. Promotion. 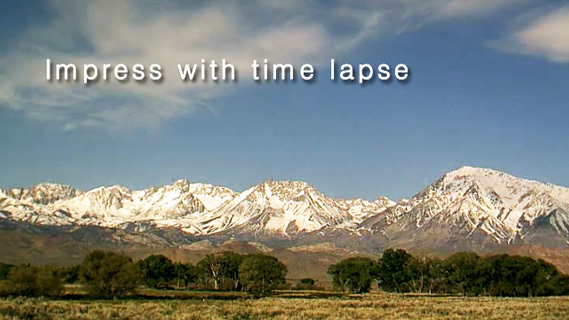 Feature time lapse in your email newsletters or on your Facebook page. Security. Keep track of who is coming and going. Got nice views? Impress your prospective guests with a time lapse of the view. Show people the stunning landscape or the fun activities at your resort. Let people see what is happening at your attraction with a timelapse.